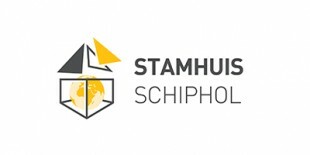 Stamhuis Schiphol, as a reputable construction company, can also provide the total finishing package in the unique setting of a busy airport. Our experience in building under high time pressure allows us to prepare building plans where the inconvenience to passengers is kept to a minimum. We know our way around Schiphol and know from experience how complex construction projects can turn out to be. Regardless of whether this concerns safety, flexibility, quality, accessibility, logistics, maintenance or permits: we will ensure that we get our job done. We are familiar with the strict legislation and regulations that apply to Schiphol. We always manage to deliver high-quality projects with a minimum of inconvenience to the surrounding area. We can also provide 3D scanning services of the new space to be refurbished to our customers. And as if that was not enough, we can also take charge of the design and project management.